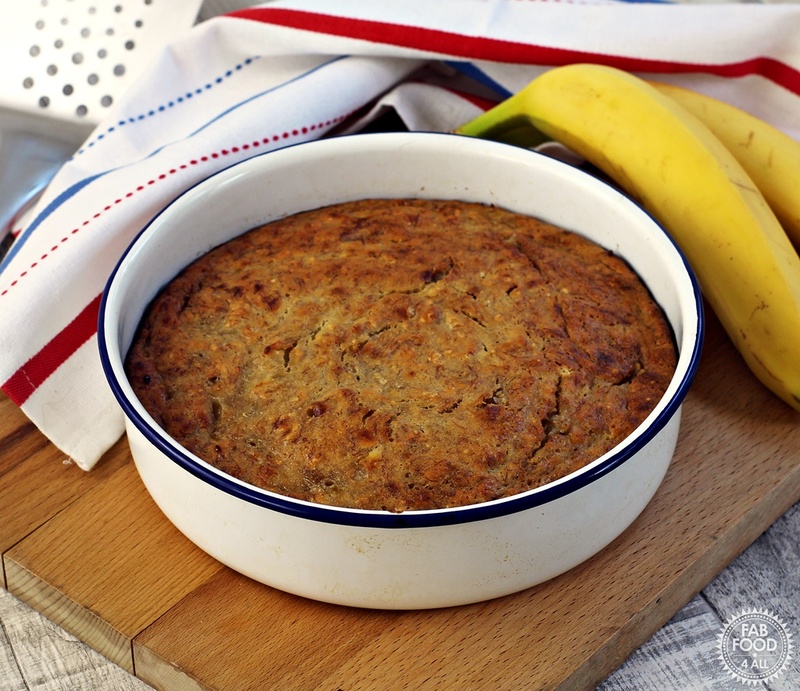 You are here: Home / Credit Crunch Munch / Banana Pudding – a great way to use up 5 overripe bananas! 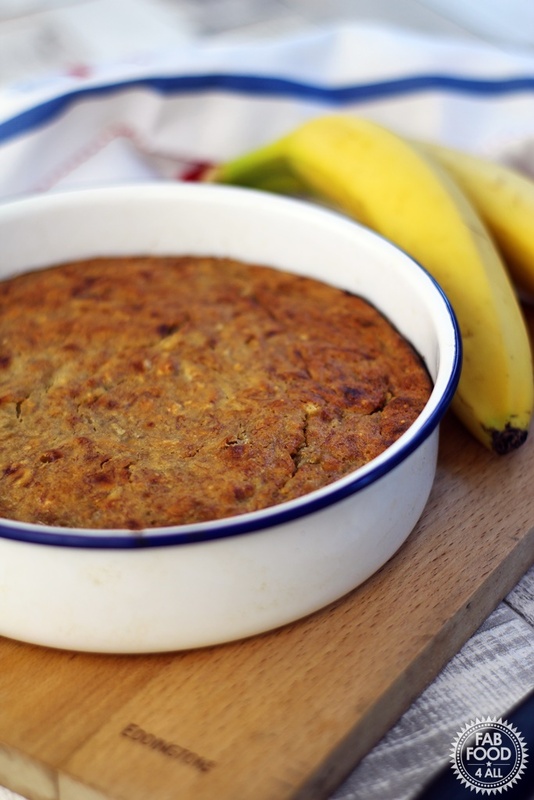 Banana Pudding – a great way to use up 5 overripe bananas! After the excesses of Christmas we all need to tighten our belts and save money where we can. Reducing our food waste is a good place to start. As a nation we all throw away far too much food as we just don’t get round to using it before it perishes. If you’re anything like me, sometimes your fruit bowl just gets just a bit out of control and before you know it a whole hand of bananas has suddenly gone from ripe to overripe. 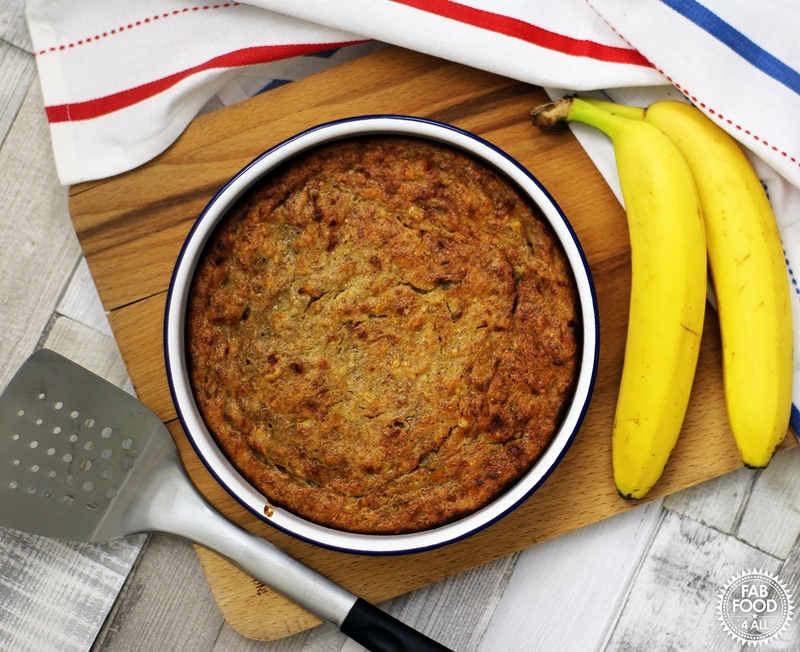 Yes you can make banana cake but this usually only uses up a couple of bananas and yes you can freeze bananas but mine tend to never see the light of day once they’ve ventured into the freezer! So Banana Pudding has become my go to recipe when it comes to saving lots of over ripe bananas. It won’t win any beauty contests but it’s gooey in the middle, crispy around the edge and is delicious with a scoop of vanilla ice cream – true comfort food. Even better it’s quick and simple to make and can will happily stay in a warm oven until you’re ready to serve it. My family love this pudding and polish it with gusto. It’s great to see fruit which looked fit for the compost heap make such a delicious pud – definitely a win win situation for your purse and your tummy! A fab comforting Banana Pudding which makes use of an excess of ripe bananas! Grease a 20cm round dish. Mash the bananas into a pulp. Mix in the melted butter, vanilla extract, sugar, beaten egg and sifted flour. Pour into the dish and bake for 45 minutes until golden brown. Previous Post: « Matcha Green Tea Banana Smoothie – nutritious & delicious! I’ve never baked in my entire life and thought I’d try to put the oven to good use. 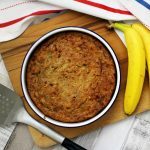 I had overriped bananas and found this recipe.. I was surprised at how great it tasted and how easy it was to do.. thank you for the recipe! Yay, so glad you were inspired to bake and that you had success with my Banana Pudding:-) I hope you come back and try some more recipes!